In the fall of 1992, history was made in California, as the Charter Schools Act (SB 1448) was approved by the Legislature, and then signed by then Governor Pete Wilson. The road wasn't easy, according to former state Senator Gary K. Hart who penned the bill. However Governor Wilson favored SB 1448 because it gave charter schools and their supporters - parents, teachers, leaders, and educators - more autonomy and flexibility to build good schools. 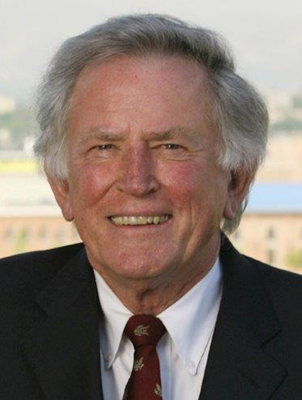 Former Sen. Hart had several reasons for initiating the charter legislation, including complaints from many in the school establishment that state laws and regulations were overkill and were preventing school folks from being educators. He also supported Al Shanker, former head of the American Federation of Teachers, who spoke about the need for experimentation in public education and how charter schools could provide an appropriate vehicle for new instructional, management and governance strategies. Hart's original vision was for charters to be a creative alternative within public education from which policymakers and educators could gain valuable insights. He also knew that several parents felt their local schools were not meeting their children's needs. Charter schools would provide a public education alternative to those parents. Although Sen. Hart is now "retired," he is very much active in the education community. He believes the biggest challenge in education today remains the education gap facing African American, Latino and low-income children. He also believes that engaging student interest is a major issue and that perhaps technology can help as long as academic rigor is not sacrificed. To Sen. Hart, charter schools provide an important alternative approach to public education and a valuable outlet to parents dissatisfied with existing choices. He is pleased the charter school movement has progressed as much as it has in recent years. In 1993, when the law officially went into effect, California had 31 operating charters. Today, there are close to 1200, serving over half a million students.